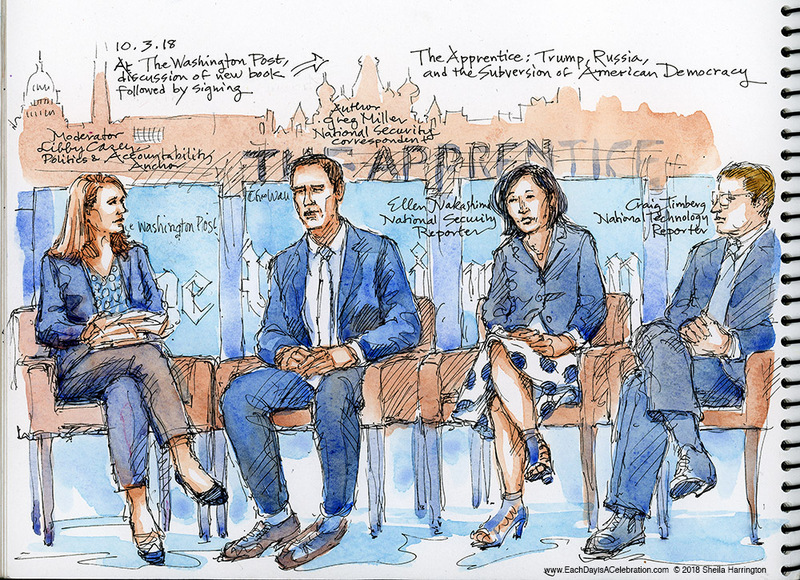 Where I spent the morning of October 3rd: listening to a discussion of the research that led to the creation of this book (one to add to the growing stack at my bedside) — The Apprentice: Trump, Russia and the Subversion of American Democracy. Here is a link to an interview with author Greg Miller on Fresh Air. You are currently browsing the Each Day Is A Celebration blog archives for October, 2018.